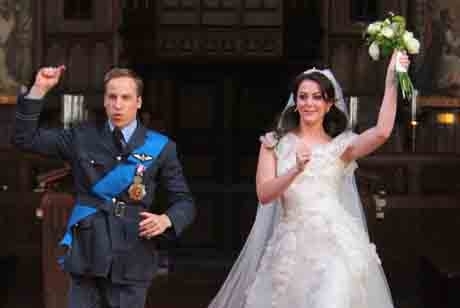 The royal couple were captured in a spoof video, making their way down the aisle to a choreographed dance routine, accompanied by the full wedding party including Prince Charles and Camilla. 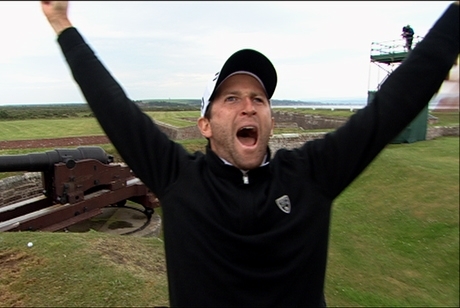 Four professional golfers, Pablo Larrazabal, Jeev Milkha Singh, Stephen Gallacher and Gregory Bourdy were assembled on the ramparts and tasked with defending Fort George, Scotland. 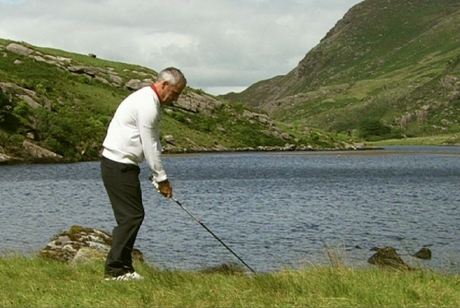 Could professional golfers David Howell, Paul McGinley, Marcel Siem or Rhys Davies skim a ball 200 yards across a lake and hit a 9 inch gong? 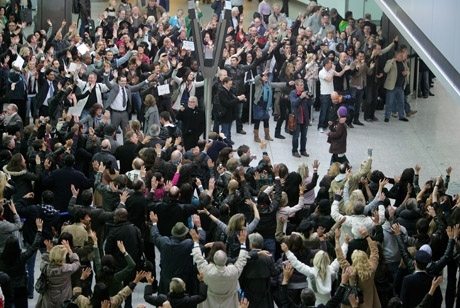 A crowd of 300 people spontaneously burst into synchronised song, giving the weary travellers at T5 a welcome home they would never forget. 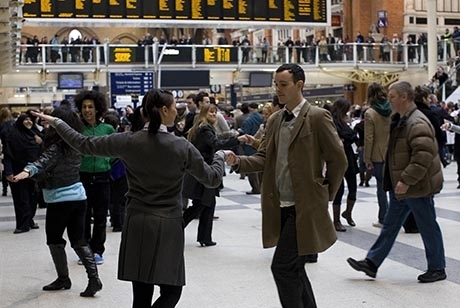 To launch T-Mobile’s ‘Life’s for Sharing’ campaign, 350 dancers executed a perfectly choreographed high-energy number during rush hour at Liverpool Street station.